You have worked hard for years. You’ve invested more than money into your company—you’ve invested your life. You’ve built more than a business. For many, this is their legacy. Their company’s value has increased for years and the CEO or owner eventually sits in the envious position of having far more value than he did when he started. But there is a certain point in any CEO’s life where the time to transition approaches. The company has to be turned over to the next person while the CEO or owner moves on to the next stage of their career or life. The expectation of most is that they will be able to get a significant return for all their work and that their business will be valued at what they think it should be. This is where the trouble starts. The unfortunate fact is that most private businesses do not sell or transfer ownership when a CEO decides to retire. The ones that try, have a failure rate near 90%. Although we would all like to see the fruits of someone’s life work transfer effectively, all too often it just doesn’t happen. For many reasons, the business simply wasn’t set up to transfer and so when the CEO leaves, the company disappears. This is a problem of exit strategy. In other words, not having one. An exit strategy is the planning a CEO or business owner does in order to ensure they get maximum value when it comes time to transition out of their role and move on. It’s the process of evaluating how much they want to get out of the company and then working out what steps they need to take to actually realize that value when the time comes. In our industry, BVC sees every possible scenario. We see those who have planned flawlessly and who get more value than could’ve been expected and we see those who are tragically shocked at the end of their career to find out what they were counting on for retirement simply isn’t feasible. Note one thing well: it isn’t a matter of how well you ran the company when you were in charge. Extracting the most value from a sale is about how well you’ve set your company up to transition. Anyone can do it right or can do it wrong. It isn’t about gross revenue. It’s about strategy. There are certain things which make a transition successful, and they aren’t necessarily what every CEO or business owner is thinking about. In order to transition, the company has to be structured in such a way that someone else can easily take it over. Systems of organization have to be in place. Operations have to be set up so that they can roll on regardless of who the CEO is. The value that you get from the sale of a company is totally determined by its saleability. In other words: How much will a business valuation company appraise it for and how much will it be worth to a buyer? Much like fixing up a house for sale, you’ve got to do the same thing with your business. You could have a great company but if it isn’t set up for someone else to buy it, you simply won’t get the value that you want for it. 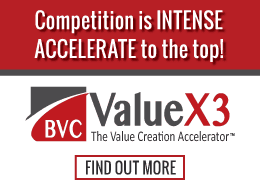 At BVC, we have performed over 5,000 business valuations in diverse industries. We literally have seen it all. We know what works and what doesn’t. We know the real numbers and can tell you the truth. In order to come up with an exit strategy for your company, we first need to do a thorough diagnosis. We need to evaluate your current operation against the 18 value drivers in order to determine your strengths and weaknesses. We then come up with an exact plan of actions you can take to increase the saleability of your company. In some situations, by isolating actions as simple as filing patents for proprietary processes, companies have been able to significantly increase their expected sales price in under six months. At BVC, we don’t just shoot from the hip. Our industry-leading processes simply can’t be found anywhere else. In addition to 30 years of experience across 5,000 different companies, we also utilize cutting-edge technology to rapidly get a precise assessment of your company’s current worth and what would need to be done to get to your target value. 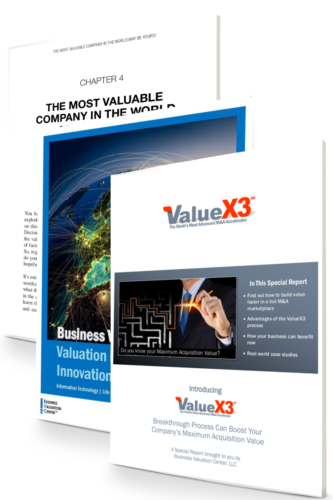 Utilizing the revolutionary “CoreValue” software, we are able to pinpoint the exact actions you should take right now to make sure your exit strategy produces the value you you’re looking for. CoreValue software utilizes algorithms originally developed at MIT to look “under the hood” at the inner workings of your business systems and determine overall health. Using these algorithms we can actually provide you with a score for each element of your company and the exact steps you need to take right now in order to guarantee a successful exit strategy. Do you have an exit strategy? Are you happy with it? If you have questions or need advice on the best way to transition, reach out to us. We’ll discuss your options with you and help you figure out the best way to get the most value for your company.